Pioneers in the industry, we offer fg wilson generator and industrial generator from India. 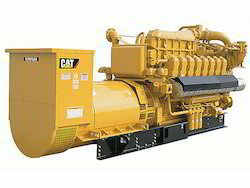 As a subsidiary of Caterpillar Inc.’s product portfolio, FG Wilson Generator sets are trusted to provide power in over 150 countries across critical applications such as hospitals, airports, data centers, telecommunication networks as well as residential properties and factories. Founded in Belfast, Northern Ireland in 1966, FG Wilson quickly grew to become one of the largest generator set manufacturers globally. Our clients can avail from us Industrial Generator that consist of industrial diesel engine with 12-volt battery charging alternator.